Have you had days when you feel lonely, left out, or like opportunities have passed you by? A few years back, a woman wrote to me saying that she felt she was getting older without getting anywhere close to living a kind of life she truly enjoyed. She had a sense that fundamentally, events in her life were beyond her control. She had been single for years, was not doing work that gave her a sense of purpose or meaning in her life, and she was feeling unhealthy and terribly depressed. As I worked with this woman twice a month over the course of a year, an amazing thing happened. Week by week and month by month, she began to fall in love with life. Where before she had looked around to see people who didn’t care about her and seemed ambivalent at best at her presence, people began seeking her company and asking to be her friends. Everywhere she went, she saw she could brighten the world by smiling and talking to more people. She started becoming more open to different experiences, and trying new things. She got a new job, a new place to live, new hobbies and new friends. Where before she had felt she had nothing to look forward to, she was now enjoying a wide variety of new activities that helped her feel more like herself as she also became closer to nature, other people, and a kind of work she really enjoyed. Depression and loneliness became less and less of a problem as she found new friends almost everywhere she went, eventually including the man of her dreams. There is a genuine problem for many people who are unhappy with their lives. Recent studies are showing a strong positive correlation between happiness and health, and between having a sense of control over events in one’s life and health and longevity. Clearly we can improve the quality and quantity of the days in our lives by finding ways to increase our happiness and our sense of control. One of the benefits of meditation and living a life dedicated to compassionate thoughts, words and actions is that through such a transformation of being, we become better equipped to deal with whatever slings and arrows of outrageous fortune may come our way. If you feel like some aspects of your life are out of control and you wish you could be happier, healthier, more prosperous, or wiser, you can get a marvelous quantum jump start into living a better life by seeing the proverbial glass as half full. Rather than dwelling on what is wrong (the glass being half empty), take stock of what is going well in your life. Catch yourself and everything and everyone around you doing something right, and express your appreciation. Rejoice in everything and everyone you love, and reach out to do something just for the fun of it that can brighten someone’s day. I had fun doing just that this past month, when I was buying some lovely heart shaped "forever" stamps at the post office. As I commented to the postal clerk how much I love these heart stamps, I added, "... and they’re not just for Valentine’s Day. Heart stamps are for every day," she nodded emphatically and said, "Absolutely!" 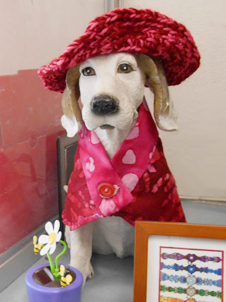 I was thrilled to find a kindred soul who shared my fondness for bringing more love into the world, so I asked if her decorative dog statue that wore seasonal costumes had an outfit for Valentine’s Day. When she told me he didn’t, I got an idea to design and make an outfit for this dog to wear... which I did! I brought the hand-crocheted hat and hand-sewn jacket wrapped in tissue paper with heart stickers and ribbon for her the next week, and was delighted to see her open the package and find a special outfit for the post office dog! This little thing is bring smiles and joy to people standing in line at the post office who now have something cheery to see, and there’s just a bit more of a feeling of love and community through such a simple gift for our beloved post office toy dog. There is something magical about relating to the world and everyone and everything in it as beloved. Almost immediately upon reframing the world around you in this new way, a vast array of new possibilities open up in all directions... as you become the love you wish to experience, and that experience of love fills your life with ever increasing joy. I’d love to stay in touch with you no matter where you and I are in the world! Did you now that I share new experiences, tips, stories, and inspirational ideas at Facebook, Twitter and YouTube? I look forward to seeing you there! Exciting News! You can now shop at the brand new Zazzle RealityShifters store! 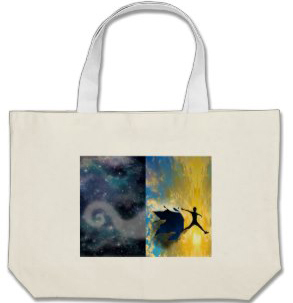 There are lots of fun new designs featuring the Quantum Jumps book cover artwork; you might just find the perfect thing! 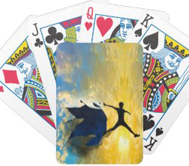 Get fine quality Quantum Jumps canvas prints, tote bags, cups, plates, playing cards & more at the Zazzle RealityShifters shop! 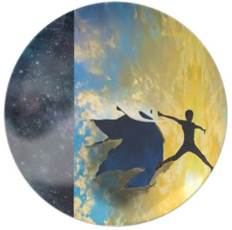 "New Pathway to Healing" radio show host Petey Silveira interviews Cynthia Sue Larson, best-selling author of "Quantum Jumps," exploring the absolutely amazing science of how we move between parallel worlds of possibility in a holographic multiverse. 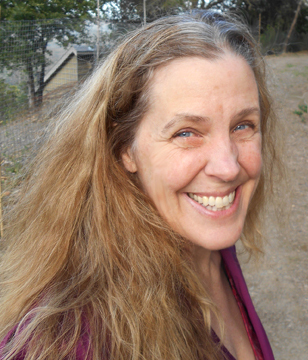 Cynthia Sue Larson presents her paper entitled, Evidence of Macroscopic Quantum Behavior and Conscious Reality Selection in a Holographic Multiverse for the Foundations of Mind: Cognition and Consciousness conference. This two day conference features discussion by some of the top scholars and neuroscientists in the world, seeking answers to such questions as: Does quantum mechanics have a role in our consciousness? Can brain imaging in fMRI explain all that we are? What is ecological consciousness? Note from Cynthia: WOW! I love raw honey, and purchase locally gathered raw honey too, so I completely understand what you mean about having a keen awareness of where one can (and can't) purchase such things. How wonderful that a 32 oz jar of raw honey appeared at your grocery store, all by itself, just waiting for you at the store! Writing to me via email is indeed the best way to submit a reality shift story, and thank you so very much for sharing this one! What a great feeling it was to read that other people have had these experiences! In as few words as possible I will describe my experience. I was 18 years old ( I am a very young 57 now) when I took my first vacation to Acapulco. I was lounging on my chair by the hotel pool talking to a Mexican fellow who happened to be there too. We were the only people there by the time I was ready to leave. I grabbed my belongings and went to get my sandals that I put under my lounge. I said to him that I could not find them .They were indeed gone. I made some sort of joke about going barefoot back to the house where I was staying with friends. He then called me back saying there was a pair of sandals under the lounge one over from mine. They were not mine but told him "if they fit I am going to wear them" especially since someone had taken mine. I noticed they were made of cork on the bottom and that one shoe in particular had a very large crack right down the whole length of the bottom. They were well worn to say the least and very dirty. On the way out of the hotel I stopped at the smoke shop to buy cigarettes. As I was paying I heard the voices of two females behind me and suddenly felt a tap tap on my back and heard "Excuse me , Can we see your sandals?" I could see they appeared peeved and I was terribly embarrassed. I said ok "sure." I recall lifting my pant hems up so they could see the sandals better all the while planning to quickly hand them over with a big apology and dash out. Next ,one of the woman asked me to take off the shoes and I felt they were ready to pounce as soon as they verified that crack on the bottom. I had them face up getting ready to give them to her. In a very stern tone she said "Now turn them over" which I did immediately. I recall their jaws literally dropping and they kept saying. "Oh we are so sorry" over and over. I was myself so ready to be the apologetic one! I looked at the bottoms of the sandals and they were unrecognizable?! They were no longer made of cork nor was there that unmistakable crack. The bottoms were now new and very shiny!! They were made of a whole different material and looked never worn. I remember feeling numb putting the sandals back on walking out the lobby while I watched them huddled together and their shocked faces watching me as I left. As soon as I was on the street I stopped flipped my foot up and there was the dirty cracked cork bottom again! I did the same with the other foot and yup same thing. That new shiny material I and apparently they saw was gone. I have always wondered what the heck happened and I feel very thankful for finally getting an explanation. I have had a number of very strange happenings throughout my life and have felt very alone seeking answers. This is one situation you have shed light on for me! Any further feedback from you would be very welcome! Note from Cynthia: Thanks so much for sharing your experience in Acapulco with the amazing transforming sandals! This is a good example of a type of reality shift in which a person notices something first one way, then a bit later another, and then reverting back. I've witnessed this back-and-forth type of reality shift for meaningful (health related) and not-so-meaningful (not anything I care about) matters, but your experience stands out because the change of the sandals soles from cracked to brand new happened at exactly the moment of inspection--when it mattered most how they looked underneath. As I describe in my new book, Quantum Jumps, we most likely live in a holographic multiverse, in which we have access to parallel universes that exist alongside our own, and since we are actually consciousness--not just our physical bodies--we are capable of traveling from one universe of possibility to another... and back. I haven't written to you in a long time, but I read your monthly ezine regularly and with great interest! 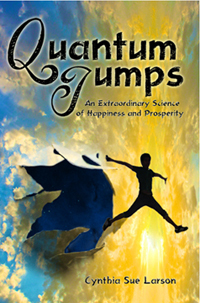 (And I just started Quantum Jumps--so far, I find it fascinating!) Anyway, the reference in this month's Reality Shifter to the alternate versions of the death/non-death of Jane Goodall really caught my eye--particularly the part about being happy to be in a reality in which she is still alive. When I read that, I thought, "What?! She's still alive?!" because I distinctly remember that she died after being mauled by the very subjects of her research; in my memory, this happened decades ago. I was so certain of it, that when my husband (who is not as open to the idea of reality shifts, psi, or anything not grounded in "everyday reality") walked into the room, I said to him, "Do you remember Jane Goodall?" He did, he mentioned her research with primates and when I asked if he knew what happened to her, he immediately said, "Yes, she was mauled to death." I did not in any way mention my memory of events or prompt him in any way. I said, "Well, she's still alive!" He simply responded that it must have been some other wildlife researcher he was thinking of, but I really think we both used to be in the other reality, wherein Jane's life came to an unhappy end. I remember about Dian Fossey too, but that was a separate different incident. I'm glad too that in the reality we're in now, this did not happen! (BTW, this is my very first personal experience of the alive/not alive phenomenon that you often write about.) Thank you very much for your compelling work! How good can it get?! Note from Cynthia: Thank you so very much for writing to tell me about how you and your husband remember an alternate history in which Jane Goodall was mauled to death. I'm glad you share my sense of relief that in this reality, she's alive and well! I appreciate your adding this detail about the gruesome death involving the primates she'd been studying, too, since additional details sometimes jog other peoples' memories. All I had remembered about Jane's cause of death at the time I first heard of her death is that it was very sudden and violent... and as I read your account of her having been mauled to death by chimpanzees, I find the rational, analytic part of my mind wondering whether that was what I'd heard back when I'd heard of her death. It does seem like it fits, and it fits much better as a memory of what I recall having happened to Jane than her being murdered by people (which is what happened to Dian Fossey). So thank you for sharing this, as it clears up for me some of my own inner confusion as to how I could have felt so certain that Jane's alternate history death, though bloody and sudden and violent was not to my recollection a murder. Your recollection clears all of this up for me. Thank you! I am an avid reader of your newsletter and your website - I have been for almost ten years now. One of the things I love and respect the most about your work is that you are not gullible and your scientific background is sound. I am a firm believer in eliminating as many as possible mundane explanations first, before considering less conventional ones. That's why I would like to propose an additional explanation to the dream a reader - Lee, from Sharpsburg - described in the last issue of RealityShifters. Lee said: “Before I met my wife, I had a dream of she and I on a dock somewhere loading some boxes and bags into a small boat. I had that same dream three times as I recall, but I never saw her face. Then I met the woman I married, I had the dream again several months later. This time the woman I was handing the boxes and bags to turned and looked at me. She was the woman I married, the woman in my dream is my wife. Explain that one!” This part - the dream (I am not discussing the other aspects) - actually isn't difficult to explain. Lee may very well have been wishing for a "mate" in life - someone to be in this "boat (=life) together with, someone to help him bear the burdens and uncertainties (= the boxes and bags) and share with him the joys of life. In short, a wife. ;) The reason he only saw her face after he had met his wife is precisely that when he first had this dream he didn't know yet who the mate would be. Afterwards, his mind filled in the original blank of the woman's face - perhaps telling him that, yes, this one is a "keeper", the one who might help him share the burdens and joys of life. (And congratulations to them both. ;)) I would also like to point out that Kathy's memory of "watching a documentary about Jane Goodall wherein she was killed by poachers acording to the story line" clearly is a memory conflation of Diane Fossey and Jane Goodall. The "killed by poachers" is the give-away. Fossey really was killed by poachers (presumably). And even though people may have the firm conviction that they "know" what they heard and saw, my work in mind investigation (psychology) has taught me that our memories are much, much more malleable than we suspect. I would like to make it clear why I draw attention to these "mundane" explanations: it is not because I do not believe in the extra-ordinary and the anomalous - it is because I DO. It is just that I believe that too hasty interpretations of certain events may take away from the genuine mystery of this world and contaminate research itself. Thank you again for your extraordinary work, Cynthia. All the best to you and to all your readers (and non-readers, too ;)). Thanks so much for your insightful comments! I agree whole-heartedly with investigating reports of reality shifts when they come in, so I typically have a long back-and-forth correspondence with such reporters, which I then end up truncating down into a reduced, more easily readable form. I can see that sharing the stories in this fashion doesn't afford readers the same behind-the-scenes study that has occurred, nor does it fully let the reader into the experiencer's heart and mind. I do the best I can, and it seems in future issues a bit more disclosure of some of this back-and-forth is in order... so I'll mull over how that might be presented and shared. I'm one of the experiencers of having heard of Jane Goodall's death so soon after Diane Fossey... and I felt a mind-body-spirit push/shout of "NOOOO!!!!" upon learning TWO of the world's leading primate researchers had been murdered. Who on Earth would be doing such a thing, and to what end? Wasn't one needless killing enough? To say I was outraged is an understatement. And this outrage of mine was not a match for one primate researcher having just been murdered... that was more a reaction of disbelief and shock and dismay. I honestly had a deeper feeling of caring for Jane Goodall, since I'd loved watching her TV appearances while I was growing up, so this news hit home hard. Most others who recall Jane Goodall's death as I do also recall she was murdered, too, which is just downright weird, especially so soon after Diane Fossey's murder. Thanks for bringing all this to my attention so I can do a better job in the future, hopefully! Have you ever jumped and brought something back with you from another reality? Is it possible? What I've done is jumped into other realities. I've experienced a sense of remembering other parallel universes, with different events and different histories. I have witnessed things appearing out of seemingly thin air at times (such as a child's tooth that had been lost at school, dollar bills appearing in my wallet that weren't there moments earlier, a new half gallon of milk going "thump" inside the closed doors of the refrigerator)... so those things could perhaps be called bringing something back from another reality. I have read your site. I would just like to ask if there is a way to physically change my past? Or is there a way to go back in time if it is possible in reality shifting and change a decision? Hope to hear from you soon. Thank you! It is possible to change our past, though for the most part, people tend to notice alternate histories most frequently as a matter more of surprise than something they actively set out to experience. Put another way, most of the time we experience reality shifts or quantum jumps, we're moving in accordance with the majority of our thoughts and intentionality, which is something on the order of 80% subconscious. This means we tend to be startled to find something isn't where we know we put it, or we discover a journal entry in our own handwriting that describes something very different than the way we're sure it occurred. These sorts of discrepancies are the typical way we notice we've changed the past... and in order to make conscious changes to the past, we need to develop mastery of attaining a meditative and/or lucid dreaming awareness of the world as I describe in my book, Reality Shifts. Physicist Michio Kaku presents an excellent overview of cutting-edge research in fields of neurology, psychology, artificial intelligence and brain science, and does his level best to make a good guess as to what kinds of scientific advances and technological and quality of life changes we're most likely to see next. The beauty of "The Future of the Mind" comes from the marvelous variety and assortment of scientific experiments and advances that are written for the layman. This is a book you can read while on the bus or airplane, and it's frequent references to science fiction movies and familiar characters in history make it a fairly easy read as science books go. The "Mind" part of "The Future of Mind" is introduced when Kaku makes a stab at defining consciousness early in the book and comes up with, "Consciousness is the process of creating a model of the world using multiple feedback loops in various parameters (e.g. in temperature, space, time, and in relation to others), in order to accomplish a goal (e.g. find mates, food, shelter)." Kaku then proceeds to establish levels of consciousness for different species (plants, reptiles, mammals, humans), with plants at level zero, reptiles at level one, mammals at level two and humans at level three. With such a model of consciousness, Kaku explains, we can test the model and improve and increase our level of comprehension of what consciousness and the mind can do. I was intrigued to find that by the end of Kaku's book, his model as laid out above seemed by his own description of some of the "hard problems" in Artificial Intelligence (AI) to be springing some holes. Without emotions and ethics, for example, robots and all forms of AI can prove dangerous and lethal to humans and other forms of life. Much of what makes humans who we are seems at this juncture to be far beyond our current grasp of what the brain and mind involve, so it's clear that even by the end of reading this book it's already time to go back to the drawing board and revise the definition of consciousness and the levels presumably associated with it. Having just read Stanley B. Klein's excellent book, The Two Selves: Their Metaphysical Commitments and Functional Independence, I kept finding myself longing for any kind of reference in Kaku's book to the kind of "I Am" awareness that meditators, lucid dreamers, and near death experiencers are so familiar with. Kaku makes occasional mention of such things, but usually only briefly or in passing, or with thinly veiled sarcasm. Without including any mention of One Mind: How Our Individual Mind Is Part of a Greater Consciousness and Why It Matters as Dr. Larry Dossey describes, this book is but a shadow of the prescient positive future anyone would actually desire to live in. In other words, while this book will no doubt be celebrated by scientists focused primarily in narrow fields of view, it is lacking a greater sense of perspective for how humanity can be coming into a greater sense of collective shared awareness with One Mind. The matter of who we are and what we mean when we use the words "I" and "my self" may seem a trivial matter in most circumstances, but in the fields of quantum physics and consciousness it's a very big deal, indeed. What most people might not be so keenly aware of is the rather thorny question of, "If I'm the one having experiences, thoughts, and feelings... then who is it that is observing all these experiences, thoughts, and feelings that I have?" Part of the genius of "The Two Selves" is the way author Stanley Klein takes time and care to first establish a common language and meaning for such concepts as the ontological self and the epistemological self, in order to start from a solid foundation. Since epistemology refers to the process of knowledge acquisition, the epistemological self is the part of us with a neuro-cognitive basis that can be studied and measured and evaluated. The ontological self, on the other hand, is posited as the essential yet fundamentally immaterial direct acquaintance with reality. Klein explains that his view of the ontological self is influenced by Eastern contemplative traditions, citing sources and references carefully throughout. Case studies involving various individuals whose experiences support Klein's claim that we have at least two selves bring an otherwise purely philosophical argument down to Earth, presenting a strong case for our having ontological and epistemological selves. While "The Two Selves" is a scholarly foray into the realm of consciousness, it is precisely the book we need at this point in time at the dawning of the Quantum Age. Whereas some modern authors such as Michio Kaku present The Future of the Mind: The Scientific Quest to Understand, Enhance, and Empower the Mind, unless the concept of our having both an "I Am" sense of self and also a scientifically measurable self is included in such models and discussion, there is a sense of something missing that "The Two Selves" provides. "The Two Selves" makes a brilliant scientific case for our indeed having at least two selves. While such an assertion will undoubtedly madden material reductionists, it also provides great food for thought for those seeking to answer the truly big questions necessitated by awareness that what we know of science cannot be complete. Our science can only ever be understood by us in the narrow range of our ability to sense, identify and measure a sliver of all that is within a narrow range of what we can describe... yet there is much benefit from our appreciation and identification with an ontological self. Mhairi Simon has written a jewel of a book that shines with a rare inner light, inviting us to gaze deeper into hidden mysteries from the dawn of human civilization up to modern times. In these mysteries of intuitive ways of knowing, communicating, and communing with with our natural surroundings we can gain a better understanding of who we truly can be as guardians of the natural areas we reside within. Simon's autobiographical book spans a handful of decades of her life so far, taking the reader on a thrilling journey from her early days in rural Scotland where as a young girl she loved to commune with nature and observe natural rhythms and ways of Earth, air, water, animals and plants. Mhairi was a very special kind of girl, who could invite a village dog to jump her high fence and spend happy hours playing together, so she wouldn't be alone. As Mhairi matured, her ability to facilitate energy healing drew the attention of townsfolk, who increasingly came to seek her out when horses and other animals fell ill. "Old Magic in Everyday Life" provides rare insights into the making of Wise Woman, sharing observations and surprising turns of events along with insights into the thoughts and feelings of a young magical girl with a knack for calling animals... including wild animals... and for healing animals, too. In this day and age in which so many people are losing touch with natural surroundings, much of the magical traditions that Mhairi showed early facility with and gleaned further knowledge of through wise elders and mentors is becoming almost a lost art, "Old Magic in Everyday Life" is all the more special. As Mhairi explains in occasional thrilling flashbacks to past lives sprinkled throughout this book, we humans have long depended on wise ways of knowing the seasons and movements of animals in order for us to thrive and prosper. Generations ago, humans honored those known for their abilities in calling herds of prey, and for healing those who became sick. There have always been some individuals gifted with the sensitivity to tune in to thoughts, feelings, and energies of others... and these people are still with us now. Highly recommended! Over 7,300 RealityShifters Subscribers live in 84 different countries around the world -- with the majority in the United States of America, Canada, the United Kingdom, Australia, Africa, New Zealand, India, the Netherlands, Malaysia, Mexico, Italy, Sweden, Germany, Brazil, Belgium, Singapore, South Africa, the Philippines, Japan, Norway, Ireland, Denmark, Spain, Israel, and Panama.